Here you can find a resource of information on the typical questions asked about medical ozone. The information here is for the public, so they can become more informed about the basic's knowledge required to understand ozone therapy as a complementry medicine..
Medical Ozone Gas (O3) is a term to describe the purest form of Ozone Gas that can be used for therapeutic applications. Medical Ozone Gas is not classified as a drug. Medical Ozone Gas is made up of a mixture of 95% Oxygen and 5% Ozone gas. To make Medical Ozone Gas, the primary ingredient is Medical Oxygen Gas (O2), which is 99.99% pure. 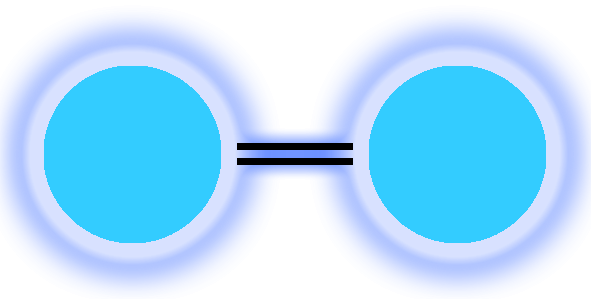 Two Atomic Oxygens are connected together by a double bond. 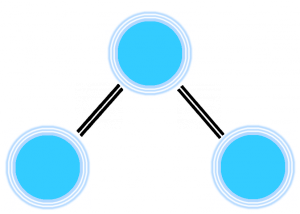 The double bond stabilizes the two atomic oxygens together. This creates a stable element called Oxygen. 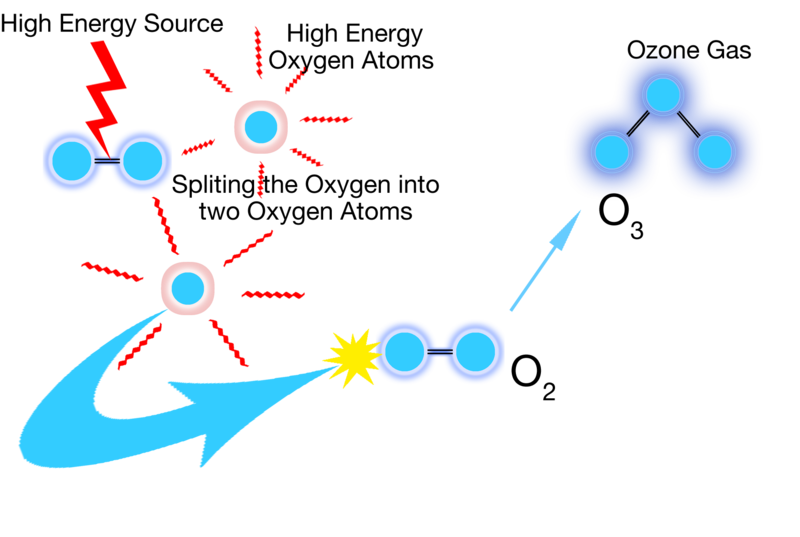 Three Atomic Oxygens are connected together via double bonds, however the Tri-Oxygen group is highly energetical. The result, is the creation of the element Ozone Gas. 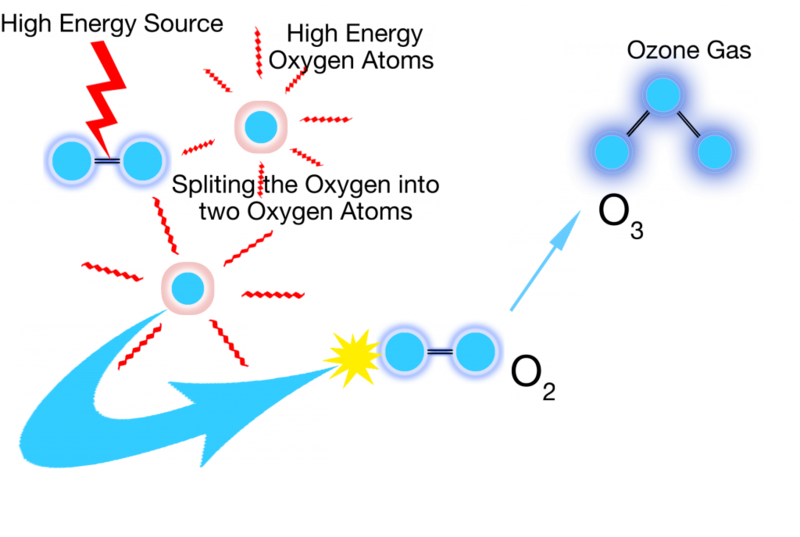 Due to the high energetic property of Ozone Gas, it eventually breaks down. In doing so, it releases Oxygen Gas back into the atmosphere. Ozone in Medicine: The Low Dose Ozone Concept - Guidelines and Treatment Strategies. 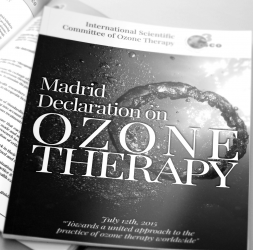 In 2015 The Madrid Declaration on Ozone Therapy is the first and only global consensus document in the history of ozone therapy. It has become an important reference tool for health professionals that use ozone therapy anywhere in the world. The Declaration reflects the latest medical and scientific advances that have occurred in the scientific world of ozone therapy ensuring a unified practice with great precision and safety. This paper confirms based on the requirements of evidence based medicine by monitoring a total of 11,000 auto major hemotherapy treatments and 47,000 rectal/colon insufflation treatments, that ozone therapyis safe and effective that produced no adverse side effects. Are There Different Types of Ozone? Yes there are 3 types of Ozone. How is it made: UV rays from the Sun split oxygen gas and produce Oxygen Free Radicals. These collide with Oxygen gas and produce Ozone. Stability: The Stratosphere temperature is O°C. At this temperature Ozone is stable and enables the Ozone Layer to form. Danger: There is no risk to human as the ozone layer is too high in the upper atmosphere to be of any health concern. How is it made: Tropospheric Ozone is a by product of Environmental, Industrial pollutants and Sun Light reacting with each other. As a result, the more pollutants released into the atmosphere, the higher the concentration of Tropospheric Ozone. Stability: Tropospheric Ozone can exist for a period of 22 days and can be reduced by weather conditions. It slowly migrates towards the ground and is deposited into the earth. Danger: There is a risk of Tropospheric Ozone becoming a respiratory irritant that can trigger diifculties breathing, asthma, bronchitis and cardiopulmonary complications. The Tropospheric Ozone concentrations and time period of exposure all play a part on how each person is affected. How is it made: It is a man made gas, that is produced on demand via the use of a medical ozone generator and medical grade oxygen as the source to make Medical Ozone. The ozone generator uses the cold plasma discharge method to produce the pure ozone/oxygen mixture. Danger: It is toxic to the Lung Epithelium and according to international and national emissions values are fixed and Medical Ozone must never be applied or inhaled directly into the respiratory tract. The media generally report on high concentration of tropospheric ozone and its toxic affect on the respiratory system, this conception is often confused when the media relate to Medical Ozone. Tropospheric Ozone and Medical Ozone are NOT the same. Tropospheric Ozone is made from an air pollution mixture in the atmosphere and contains Nitrogen and Nitric Oxides that are collectively harmful. Medical Ozone in comparison to Troposheric Ozone is produced under precise controlled conditions, using specilaised equipment that can safely converted medical ozone back into oxygen gas. Thereby reducing any toxic effect on the respiratory system.